Joe Bitar joined 4b Architects as Managing Partner in 2011, initially focusing on international projects. 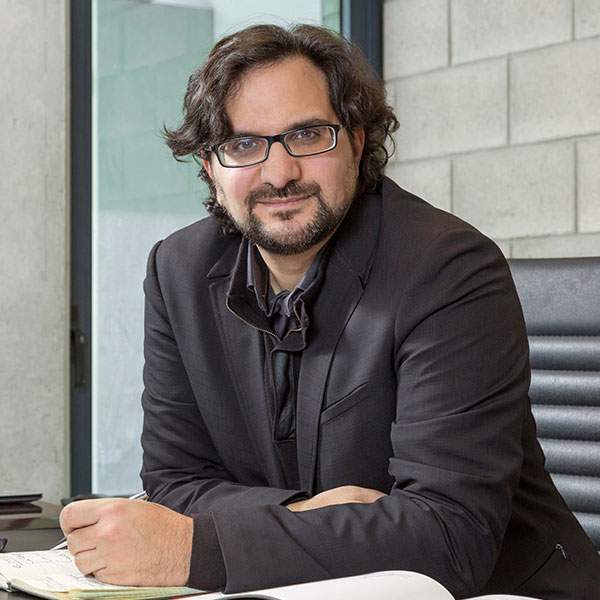 Drawing upon his collaborative approach to design, along with sound client liaison, his work covers diverse projects in different regions of the world including the LEED-designed Princess Noura University in Riyadh, Eko Hotel Tower 2 in Lagos and Lighting Masterplan of the City of Beirut. More recently, his interest has centered on the Conference Center of the Najran University, the renovation and extension of Red Cross Headquarters in Beirut and the Harissa Public Spaces Project. Joe Bitar graduated in 1999 from Saint-Luc School of Architecture (Brussels) with a degree in Architecture and Design. He also holds a DEA in Paysage & Projet Urbain from the Lille School of Architecture (France) in 2000 and has completed a Master in Construction Management at the Ecole Speciale des Travaux Publics (ESTP) - Paris, in 2001. Starting his career at ASSAR, he has worked on such iconic projects as the restoration of the RTT Building in Brussels and the Neudorf office in Luxembourg. He joined Oger International’s head office in Paris in 2001 as Design Principal for large projects including the National Security Council Headquarters (NASCO), the Conference and Convention Center (CCJ) in Jeddah, and King Abdallah University of Science and Technology (KAUST) in Thuwal, KSA. A passionate architect who combines the values of environmental and operational integrity with a broad international exposure he is a tireless advocate on issues of sustained urbanism. He is also an active participant in grassroots efforts aimed at elevating the conversation regarding urban perceptions for development and connectivity in his native Lebanon.